Lava launches 8GB variant of the successor Iris X1 Android Smartphone. The Lava Iris X1 8GB can be purchase from online retailer store with price tag of Rs. 8,399. Previously Micromax Unite 2 competitors of Iris X1, also launch its 8GB ROM variant with same price tag. So people looking to buy Smartphone with 8GB ROM around Rs. 8,000, then this is the best device to be opting for. Check below specs of Lava Iris X1 8GB Android Smartphone. Running on Android 4.4.2, the Lava Iris X1 8GB sports a 4.5-inch (854 x 480p resolutions) IPS capacitive touch screen and is powered with 1.2 GHz Quad Core processor. The cameras of the device includes, 8 MP on the rear side with Dual LED Flash and 2 MP front facing camera for video calling. The other features of the Smartphone include 8GB ROM (expandable with microSD), Dual SIM (3G + 2G), 1GB RAM and 1800 mAh battery on the back. The wireless connectivity options added to the device are 3G, Bluetooth, WiFi and AGPS and has dimensions of 66 x 134 x 9mm. 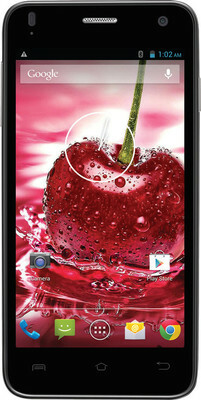 The Lava Iris X1 8GB Android Smartphone comes in Black and White colors and is priced at 8,399. The device can be purchase from Flipkart online retailer store.